By Presidential Proclamation, September 15 - October 15 is designated as National Hispanic Heritage Month. Heritage Documentation Programs is pleased to promote awareness of and appreciation for the history and accomplishments of Hispanic Americans during this month. As part of this celebration, our site showcases a selection of historic properties documented by HDP, commemorating the events and people, the designs and achievements that help illustrate Hispanic Americans' contributions to American history. 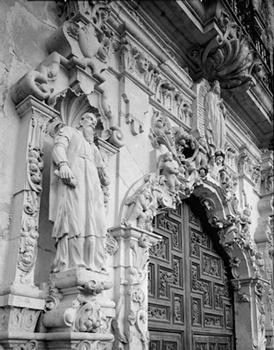 This concentration of Catholic missions represents some of the finest examples of Spanish art and architecture in North America. On November 16th, 1864, the United States flag was raised on the Mesilla Plaza to signify the Gadsden Purchase Treaty. The Church of San Albino, built in 1906, occupies the location of an 1857 adobe church and is one of the oldest churches in Mesilla Valley. This house is considered an excellent example of a Territorial-style structure. Once known as the "Cigar Capital of the World," this company town was a cigar-manufacturing center. 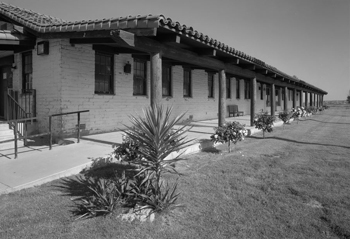 This site, a National Historic Landmark, is associated with the life of Cesar Estrada Chavez and served as the headquarters for the first permanent agricultural labor union in the United States, the United Farm Workers of America. These fortifications are known as the the guardians of the Caribbean.